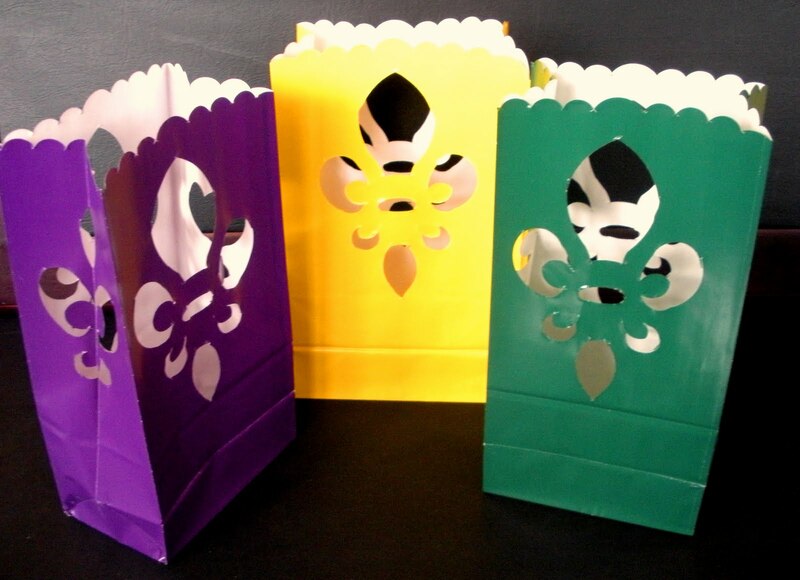 Order your Mardi Gras banners and luminarias by contacting me at 210-288-4988. Sets of 5 tissue banners, each 10' wide, for $15 plus shipping. The luminarias also come in sets of 5 for $15. This is a new and unique decoration for a festive party or event. Laissez les bon temps roulee!